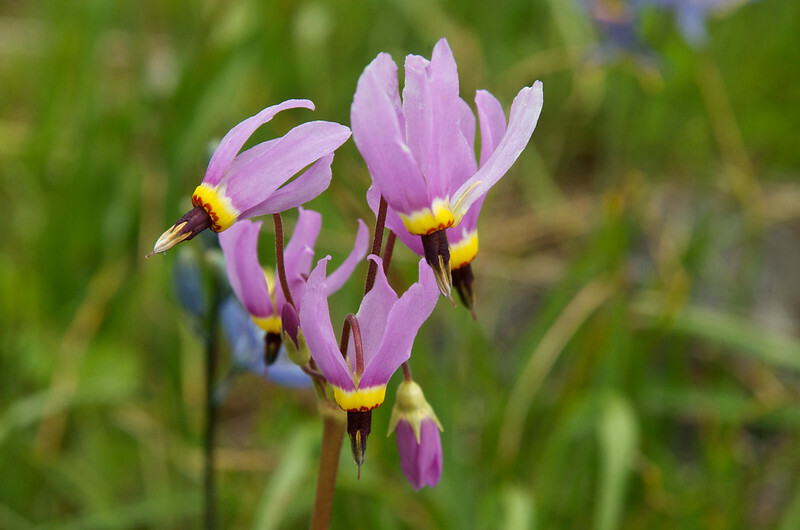 4/28/12 Shooting stars (Dodecatheon sp.) at Katherine Creek in the Columbia River Gorge, taken last weekend. Thank you for the complements on the Issy Creek shot - will join the Dailies back in a week. Beautiful flower. I don't think I've ever seen one of these before! I have never seen this type of flower before. It looks a bit like columbine. Beautiful color and lovely dof! Wonderful DOF, just fantastic boken, beautiful colour pop, extremely well done !